While the quest of next-generation industrial technology has increased the adoption of internet, serious steps weren’t taken for its revival until the start of this decade. 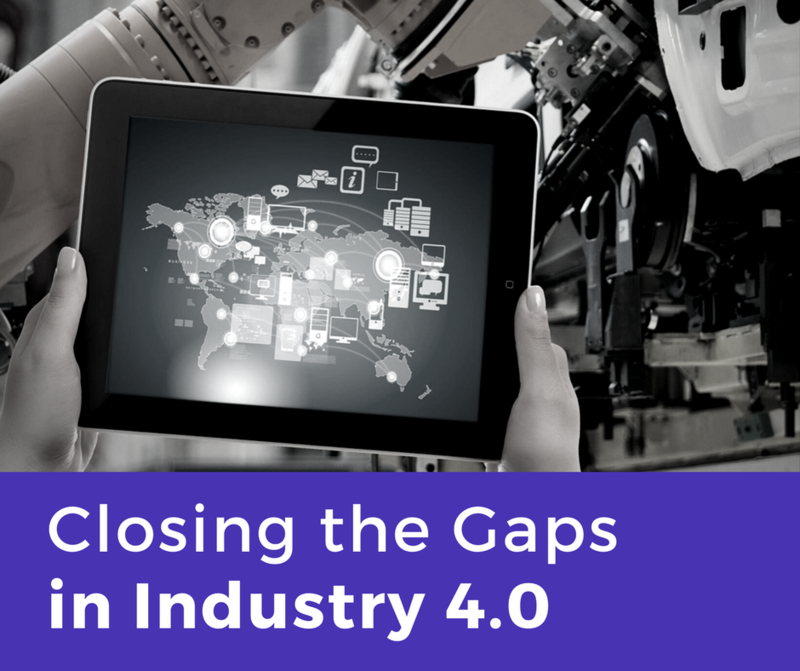 Internet of Things, Cloud Computing, Smart Factory or Industry 4.0 are all connected with each other, with the prime goal of automation through interconnected industrial assets. Information will play a detrimental role in this revolution and therefore all challenges in implementing industrial ethernet should be properly addressed. Real-time decision making is required from Industry 4.0 type assembly lines. At the core of all this sits reliable communication networks as data must be handled in a wholly and redundant manner so that all industrial hardware is covered under the network, irrespective of protocols and interfaces. There is a large assortment of communication technologies currently being used by the industrial world. Each technology has its own characteristics and its own shortfalls, and therefore we can’t rely on a single protocol or interface to work with every application. A blend of technologies has to be implemented, depending on the needs and situations. Wireless technologies such as Wi-Fi are at the forefront of industrial communication due to increased range that allows them to cover greater areas. Furthermore, new low-power solutions allow sensors to be placed in locations that aren’t feasible for wired solutions making them ideal to interconnect industrial assets. However, at the same time, inventory tracking is something that’s better handled by another wireless technology, Near Field Communication. NFC provides quick interface points and allows items to be tagged and tracked through RFID. From the very beginning, wired field-bus technology has been known to handle time-critical operations within an industry due to its high reliability. Today, these issues are being addressed by the all-rising industrial Ethernet. Surely, protocol-mismatch exists but advancements in standards like Time Sensitive Networking are bridging this gap. Furthermore, industrial ethernet is being used to cover the entire spectrum of industrial hardware including motor drives, I/O controls, sensors, etc. so that any and every kind of data is available to the system. Over 30 industrial ethernet protocols are available and in use, however the following have established themselves as the most commonly used ones for industrial automation. With the capability of connecting up to 65,535 nodes in a system, EtherCAT provides a cost-effective solution. The protocol is scalable and can be used in large PLCs as well as minuscule sensory equipment. This protocol comes with three different classes of latency standards, each for a specific use. Class A is used in infrastructure and building automation, with a cycle time of 100ms. Real-time Class is better for software-based applications and reduces the cycle time to 10ms. Finally, Isochronous Class is best used for motion-control applications, bringing down the latency to 1ms. This is an application-layer protocol that uses Common Industrial Protocol (CIP) over TCP/IP to communicate in industrial control systems. Being an application layer protocol, the protocol is compatible with many internet and ethernet protocols. Full factory coverage can be provided on a single network as unlimited number of nodes may be connected, however there are some real-time factors that need to be taken into account. The protocol has been built to cope with the more stringent timing requirements, and is capable of running a broad spectrum of equipment. Being an open-source protocol, implementation is quite easy and seldom meets any barriers. With cycle times as low as 31.26 microseconds, the protocol is used servo-drive applications operating with up to 511 slave nodes in a single network. These are just few of the many industrial protocols in use. The process of making industrial assets compatible with each other is quite challenging in a multi-protocol environment. The best solution in this case would be to procure a software-based multiprotocol device that can be upgraded over the course of its life depending on changing technologies. The beauty of Industry 4.0 lies in its diversity. In order to meet the challenging requirement of real-time automation, an industry has to incorporate a wide range of equipment. Sometimes, the equipment is compatible with each other and doesn’t involve going through complex inter-protocol setups. But in case the establishment is large, and requires communication nodes at each level, system engineers have to be extremely careful. Safety-critical networks need to be redundant while time-sensitive networks have to be as simple as possible. The requirements do get tougher, but the rewards get bigger as well, which comes in terms of lower running costs and greater adaptability. Welcome to ACD Connect! We will be bringing you the latest industry news in Industrial Automation, features on new products and manufacturers, helpful Engineering tips and how-to's, as well as exciting company updates. ACD Connect is where to go to read about the industry's newest technologies.